Earlier this week, Jacob Nielsen, a usability expert, penned a detailed post where he effectively panned nearly every aspect of Microsoft Windows 8 (s msft) from a usability perspective. And by panned, I mean completely ripped it apart. Nielson’s commentary was part of a study where 12 experienced Microsoft Windows users were observed while using the new Windows 8 operating system. And perhaps that’s part of the issue here as Windows 8 isn’t quite like any prior version of Windows at all. I’m certainly not trying to defend Nielsen’s study, nor the experiences of the dozen participants. In fact, I’ve struggled with the new operating system on a Surface RT review unit and I have 15 years of hands-on I.T. experience in Fortune 100 companies that relied heavily on Windows. Plus I have some previous with experience Windows Phone, which has used a similar interface to that of Windows 8 since 2010. But Windows 8 is more than tiles and touch targets. I couldn’t figure out how to share a web page, for example, but the function is there; thanks to my podcast co-host, Matthew Miller, I learned that the Charms section has a context-aware Share feature. Closing applications on Surface RT stumped me as well, but then I found out how to do it: While in an application, swipe down from the top of the screen to the bottom and the app will close. Well, it’s supposed to, anyway. Russell Holly at Geek.com notes that some apps are still running in the Task Manager even after closing them in this fashion. So part of the issues then, could be due to a learning curve; not from poor design. That’s certainly a problem, but one that can be corrected through education on Microsoft’s part. Users have to learn and remember where to go for which features. When running web browsers in both device areas, users will only see (and be reminded of) a subset of their open web pages at any given time. Switching between environments increases the interaction cost of using multiple features. The two environments work differently, making for an inconsistent user experience. While Windows 8 is probably the biggest break from Microsoft’s past operating systems, it’s not a complete break. Support for a desktop mode is a by-product of legacy design and, to me, represents the largest missed opportunity for Windows 8 tablets. The old Desktop mode is really there for one reason only: Microsoft Office. Instead of creating a Desktop mode for the productivity suite, Microsoft should have created a productivity suite for the touch-friendly environment. It’s as if it was easier for Microsoft to simply cram Office on tablets in a special mode rather than redesign it for effective use on mobile devices. And we know the latter can be done: Look at QuickOffice, iWorks or any number of productivity apps that work well on touch devices. I don’t quite agree with Nielsen when it comes to his criticism of the flat icons in Windows 8. I find that these fit in well with the tile interface and reduce the amount of flashiness found in icons on other systems. Utilitarian? Perhaps, but isn’t that what a section of choices for device settings is? Here’s a look at what Nielsen is complaining about, in particular. He notes that few users actually tapped the “Change PC settings” link when tasked to change the background wallpaper in Windows 8; they thought those words were a label. Given that they were using a Surface RT tablet, perhaps the link should be “Change device settings” but this is easily fixable in a software update. The fact is — and it bears repeating — this is a new platform and there’s a learning curve involved, just as there has been for iOS (s aapl) and Android (s goog) devices. Scaling mobile up or bringing desktop down? The underlying problem is the idea of recycling a single software UI for two very different classes of hardware devices. It would have been much better to have two different designs: one for mobile and tablets, and one for the PC. I understand why Microsoft likes the marketing message of “One Windows, Everywhere.” But this strategy is wrong for users. Looking to Apple, I see a different, so far, more successful, approach when it comes to mobile devices such as smartphones and tablets. Much of the core of iOS and OS X is shared, but the interfaces are different: The former is designed solely for touch while the latter is solely for mouse and keyboard. While some apps are similar — think iPhone, iMovie and the iWorks suite — they’re designed to work effectively on their respective form factors. In some sense, Apple is scaling up from mobile as it brings more mobile user interface tweaks and services to the desktop. Microsoft on the other hand, is still doing what it has done for a dozen years with its Tablet PC platform: Scaling the desktop down. Granted, it’s doing far less of that than ever before as Windows 8 is the best version for touch devices yet. But that doggone Desktop is still there and once you get there, touch becomes an exercise in frustration and you revert to the keyboard and touchpad on a Surface. I like Nielsen’s idea of one platform dedicated solely to phones and tablets. Essentially because of the design choice Microsoft made by lumping the OS for tablets and PCs together, I find that the Surface RT device competes more against other Windows laptops than Apple’s iPad or Android tablets. In my mind, that’s the biggest issue here; not how flat the icons are or the learning curve for Microsoft’s new platform. I can’t believe the number of Microsoft defense comments. Not just “hey it works for me” which I would understand, but the number of “hey it’s great, figure it out, it ain’t hard and you are stupid” type comments. My only conclusion is that Microsoft is paying employees to shill on blogs everywhere. The comments are very similar. My conclusion from this is that Microsoft is screwed and probably knows it. The haters only have one genuine complaint. The Metro interface and lack of a start button. I agree MS should have made that an option. Thankfully you can do away with Metro and get your start button back easily. Under the hood it’s an improved version of Windows 7. Telemetry shows that the taskbar was generally used in preference to the start button, just as MS had designed it to. Some people may have continued to invest in the start button way of doing things, but its use has been subject to deprecation for years. In facts, at work I am using an XP system that is locked down so that the start button is almost useless. All utilities and settings are done via a startup folder. Not that removed from Win8 in concept. For people that have actual work to do, the tragedy of Excel 2007 and 2010 is still beyond the pale. Why would I use Windows 8 unless forced to? I wouldn’t. The problem is a long term one: Microsoft has with its terrible interface fracturing turned fans and supporters into haters. I love the windows phone 8x with wp8 o/s. I hate my new upgrade to win 8 with the new UI (previously known as Metro ). I installed a tool which gives me windows 7 kind of interface, now I am feeling better. 1. Windows Phone 8. Thumbs Up. Great Software. I love it. 2. Windows 8 with Metro UI. Boo!! Boo!!. I hate it. 3. 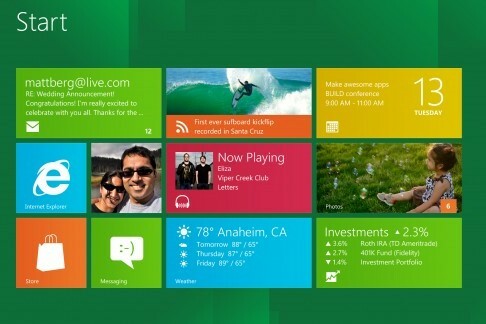 Windows 8 with Windows 7 UI. I Like it. I have given my iPad to my 8 year old since getting Surface. Now I have a tablet for the TV time. A a laptop to do basic work on the breakfast table and a complete desktop in my study for my cloud based virtual machine using the hdmi display. One device does it all and it took me 5 minutes to learn and understand. May be its too complicated for some people, unfortunately those are the ones who write a lot on the net.. When actual sales figures come in January 2013, all that you say will be wrong Windows RT is failing in a spectacular way not seen since the Zune or the Kin, and Windows 8 going the way of ME, and Vista. Since most of what Meaux wrote is direct personal experience, it cannot be affected by however successful Win8 turns out to be. Shows that you are writing on prejudice rather than facts. Personal experience and feelings are facts. Problems only occur when those are projected to somehow apply to other people. Meaux did NOT do any of that. I installed Windows 8 Pro last weekend and after configuring my quick launch – found that it’s little different from Windows XP – Just how I like it. Who uses the start button anyway? The default themes are ok but I like a basic desktop. Turning on the basic desktop (ie that white or black mode) is the worst thing that I’ve found with WIndows 8. It makes the icons look ugly, hurts your eyes, and forces you back to that sunflower theme. There are functions buried in the Start Menu that I haven’t used regularly in years that I actually use all the time in Win8 – the universal search is a thing of beauty. The learning curve is nothing like the learning curve for iOS or even Android. On iOS, you either tap something visible on the screen, tap and hold on something visible on the screen or swipe left or right to change pages or pinch zoom to zoom in/out. It takes 10 seconds to show that to people and they get it and can use the device almost as well as an old hand at it. The notion of having to teach users at a company to embrace this new paradigm leaves me with cold sweats and chills and a strong desire to run for it now, which is something I’m sure is shared by many corporate IT people, and I suspect the adoption rate of Windows 8 in the workplace will be pretty underwhelming for a long time to come. This is a tired line – were mid-large corps with thousands of PCs really going to adopt Win8, even if it was just a incremental change from Win7 – because a lot of them are still on XP, so why didn’t haven’t they upgraded to Win7 as it is an incremental update to XP? Exactly. Enterprise isn’t now, nor has it ever been, a sea of early adoption. Enterprise uses the same thing long after it’s antiquated (i.g. dot matrix long after ink jet was in the market) until they simply can’t any longer, and then they seek out the cheapest, not best and certainly not latest, solution for their need. Why should I not be able to decide on the spot in what mode I want it to run? It only shows your lack of vision. To be brutally honest i’ve got to say a yes, well that would have until last night when i had a quick play with the Surface RT, and while the interface is a bad of cats mad the actual experience is butter smooth. Microsoft have done good with their own hardware and i’ve had a go on about 6 or 7 Windows 8 tablets from major vendors in the last few months. This is a transition phase, a learning experience. Windows 7 rose from Vista and Win 9 will rise from this. Its not easy making big changes. Im actually crying tears the tablet/pc thing is gaining momentum! Scaling down content for Tablets is a mistake as is porting games from an HD console to a mobile device for gaming. The user experience is different and therefore the product should be designed around that. Brands have content and the easy way to prove to the board that the company is operating in that space is to directly port onto the latest devices, however this has been incredibly unsuccessful and as a route to market, it is short term box ticking and not the route to long term success. First a disclaimer, I’m a huge Microsoft/Windows fanboy, especially when it comes to mobility. I’m an old time pocket PC user and fondly remember JKontheRun and all the things we all used to try to shoehorn windows into a mobile package. With that said I have a more realistic view of Windows 8. Being the product of at odds executives Belfiore and Sinofsky we ended up with what is really 2 OS’ instead of a single unified OS. I’d be willing to bet it wasn’t so much technical limitations that kept MS from providing an integrated OS, it was a management issue, which it always ends up being. With Sinofsky gone we can only hope that integration will happen. It’s obvious that the issue is that Metro was designed for a phone. Here is what is telling for me. I have a windows 8 pro tablet (Samsung 500t) and I almost never ever even touch Metro. I am what should be the biggest customer for the metro interface, yet I can’t stand it and find it lowers my productivity. Just to give a simple glaring example, the Metro UI is supposed to be the new Start screen, yet you cannot create folders and put tiles inside folders. This automatically makes the Metro start screen incredibly unwieldy, what happens when I have 50 programs loaded? 100? 200? Yes you have to scroll all the way thru multiple pages squinting your eyes until you find your program. Sure you can group them, but that does little to help. Search is another option, but many times you don’t know what you are looking for, or you want a submenu of the installed program, etc. Another example of shoehorning a phone OS into a PC is internet explorer, just terrible. No bookmarks ?!? Sure I can pin stuff, so like the Metro start screen now I have to scroll thru pinned bookmarks, worse yet instead of 100 programs I usually have several hundred bookmarks, terrible. At the end of the day I find using the desktop on my tablet/touchscreen more than adequate, I don’t need my OS dumbed down like iOS is. But I understand the average consumer likes these simpler options, but Metro isn’t the answer in its current iteration, in it’s quest to simplify it really confuses and makes things harder. I do have high hopes for Microsoft to evolve Metro and unify it with desktop, I will still stick with Microsoft and am amazed and in love with my windows tablet. I don’t have a problem upgrading to win8 either because it does have many improvements besides metro, and it’s only $40 making it similar to an OSx yearly upgrade for example. Existence of Legacy Desktop : I can imagine the criticism Windows 8 would be receiving if Microsoft launched Windows 8 without the traditional desktop also. Users needs to understand that the old Desktop will remain for a while on Windows 8. This is very much required to run those applications which are not ready for Modern UI. Microsoft doesn’t have any direct control on Application Developers and they cannot wait for popular developers to release Windows 8 Ready Applications. ie, the reason Desktop exist in Windows 8. Users should See Windows 8 Desktop App as another Windows 8 app which acts as a workspace to run apps not designed in Modern UI. Is Windows 8 Perfect ? No. Its has its owns issues / missing functionalities which needs to be sorted out. Is Windows 8 totally un-usable ? There is nothing holding to say YES to this concern. Success of Windows 8 depends on how fast Microsoft is going to address the issues and eliminate that thru future updates. Clearly no real research here. On closing Modern UI apps: you don’t. Swiping down has the exact same effect as simply going to another app: app process is suspended and after some time is closed. So there’s no point in swiping to “close” and very inaccurate to state that the process is still running, it’s not. Problem with supposed tech experts is that they aren’t. Stop thinking of Windows 8 in the same terms as previous Windows OSes, it’s different and acts different, it really is as simple as that. There is a learning curve in using the Metro UI (I refuse to call it Modern UI) in Windows 8, but once you get to know it, it will become very intuitive. On the workstation, I expect that the Desktop will continue to be used for doing all the real work (only because of multiple (>2) windows can be opened. On the tablet (particularly RT), both the Metro Apps and the Desktop Office Apps can be and will be used equally and very effectively. RT Tablets are either equal to, or slightly ahead of the iPad in browsing the web and consuming information.. In creating and producing content and information, the RT Tablet is far ahead of the iPad. There is no contest. As a user experience professional myself, and not having played with Windows-8, I am not going to comment on its usability. In fact I am optimistic and really applaud Microsoft for taking such a bold design move. Its not easy to churn out radically new products from within a well established organization. So lets give MS the credit they deserve. Now the mistakes… They should have launched the Surface Pro (which would have been the real deal for many people). The Surface RT made a big media splash, and yet people who would have considered a windows tablet ended up waiting on the sidelines for the Pro version to be released. Sincerely, without the large number of applications that are built for Windows x86, RT is just like WebOS or whatever OS that Blackberry Playbook had. Who in their right mind would jump with joy for it? My belief is that had Microsoft launched Surface Pro as their initial tablet offering they would have seen amazing reaction from the market. It hurts to see such bold design to be marginalized by go-to-market strategies. Tacky journalism uses a question as a headline to an article. Microsoft isn’t marketing Windows 8 (nor have they ever marketed any of their products) to ‘experts’, self-proclaimed or legitimate. Many people have been dissuaded from even spending 15-20 minutes actually trying Windows 8 by these ‘experts’ telling them before hand they aren’t going to like it, they won’t be able to understand it, they won’t find it useful and they won’t figure it’s complexities out; all of which are closer to a stinking pile of BS than anything resembling reality. I’d say about 2/3 of the people I have asked who say they don’t like Windows 8, upon being asked probing questions, have admitted that they have never actually touched it! That includes people I know and people I’ve conversed with on forums just like this one. Microsoft’s mistake is not in releasing a “bad” version of Windows, but in allowing the inane media to be the biggest voice in talking about it. If Microsoft would (or would have) been more aggressive in explaining some of the more unfamiliar concepts of the Modern UI and providing no more than 5-6 important tips, there wouldn’t be as much negative talk being spewed by so many who haven’t really TRIED it, or who have tried it only very little. There is a big difference between being able to effectively use something, and liking it. I get that many people simply don’t and won’t LIKE the way Windows 8 works in some ways, but anyone willing to listen and spend 20-30 minutes working with it can very easily figure out how to be nearly as productive with Windows 8 as they are with any other version, as far as the interface is concerned. Again, that doesn’t mean they will like it, or prefer it to earlier versions. Instead of telling people they won’t like it and trying to impress folks with all kinds of erudite ‘reasons’ why, how about telling people how to use it and let them decide for themselves if they like it or not? All that’s happened is an environment has been created in which people bash something they have barely (or not at all) even tried to any significant degree. So to answer the question posed by the headline, NO, Windows 8 is not as bad as the ‘experts’ are saying. It’s very different, yes. It requires some tips and time to more easily figure out some things, yes. But bad? Hardly. It’s faster, more secure, more resource-friendly, more compatible and at least somewhat forward thinking, even if a few design decisions could have been thought out more. Overall, it’s a noticeably BETTER Windows than any previous version, but it’s just very DIFFERENT than any of them in important ways. So if a car is introduced that has a stick for steering instead of a wheel and people don’t LIKE it, that’s not a reason for them not to buy the car. They just have to be willing to learn how to use the stick. You’re okay with Windows 8, so everybody else should be, too. There are some car purists that hate the use of any electronic gear changing device as opposed to a standard manual transmission. Yet you cannot buy some newer sports cars with a manual transmission. Sure they have paddle or manumatic shifting, but its progression. If you want that vehicle then you need to embrace it or look elsewhere. I never said everyone should be OK with Windows 8, but accept that it is what it is and like Vista, there is no turning back. Some change is gradual, some change is eventual. Eventually it will only be Windows 8. This is still a FAIL on MS’s part, especially after their Vista lessons on this exact same topic. What was it, Project Mojave or something like, that which showed that this was true of Vista as well. You’d think that MS would have gotten proactive regarding this for Windows 8 / RT. Take heart by the fact that the Samsung Note was a runaway success despite the almost universal panning by most bloggers (and these same people are still using the same arguments to no effect about the Note 2) and commenters (that did not have one). All ignored the almost universally positive comments of those who actually had one. Basically, most of these so-called ‘tech’ pundits are very conservative and exhibit moderate at best actual tech awareness. Tech has only been in the mass human consciousness for 250 years — since the Industrial Revolution — so, while many may profess to ‘understand’ tech, most are only users of it and spend a lot of time reading the advertising material. The worst are those who consider themselves tech heads, but get themselves too buried in their ways of doing things that they find it too hard to change their ways and start decrying anything that is different will be ‘too difficult’ for those with less tech savvy than them. The fact is that while many ‘tech’ bloggers (and self-professed techo commenters) seem so put out by the lack of a start button in Win 8, MS had designed the taskbar in Win 7 to be used in preference to it, and the telemetry from millions of users showed that they had got the message and were quite happy to prefer to use the taskbar. I expect that most Win8 users will have none of the problems these ‘tech puffheads’ expect them to have. With tech moving along so quickly and new paradigms coming out all the time, building elaborate ways of doing things in the same way rather than adapting to the new ways is counter-productive, especially if the new ways are much easier, once learned. I think many commenters think that MS has just come up with ideas and implemented them without any forethought. However, just reading some of the Win8 team blogs shows that every item gets an iterative series of design, test and target user group test cycles. Then they have used the telemetry from their previews to see how well the ideas have worked out in practice. And yet through all this, the start button is still not there! Personally, I have loaded Win 8 on my desktop (dual boot Win8 with general use and DAW partitions) with two touch screens, three 30″ monitors and a TV. I use the start screen to access utilities, and sometimes apps directly, and it goes away as soon as I do anything on one of the desktop screens. I move between keyboard, mouse and touch as required depending on what I am using most at the time. Touch is just another interaction method. With touch, it is best to have the most used almost horizontal, but if I could have all touchscreens, it would make using lesser used vertical monitors much easier at times. For closing the new apps, the old Alt-F4 combo works just fine, and even works just as well to close down. A lot of the old stuff still works, but I think that many of the ‘experts’ didn’t know the old as well as they think. Say what you will. There are people who just do not like it. I am one of them. I tested it out on a computer in best-buy and while i like the look, the usability is very annoying not because it was “hard” its just ….. annoying. so i will stick with windows 7. Well, at least you tried it! Probably not enough, but that’s much more than many people I have heard railing against Windows 8 who haven’t gotten any closer to it than to have read some article written by some ‘expert’ or pundit. As I mentioned in another post, what’s being ignored is the fact that there is a difference between not liking something and not being able to use it. Your first mistake was going to Best Buy to test it. Find a Windows Store. You really don’t get a full experience without the touch screen and most of the units at Best Buy don’t have it. Judging from you grammar you do better with an etch-a-sketch. Gary, check your own statement. FAIL. After years of sheer frustration with the limitations of an iPad the Surface is an absolute joy to use. Yes itâ€™s new and you need to spend a little time figuring out the new paradigms, but after a short while with it the device it is brilliant. They clearly thought deeply about its long term usability and sacrificed a small amount of the first run experience for it. The ability to switch between the UIs is not a ‘problem’ it is brilliant. Finally I can have all the nice touch stuff, but when I need to, I can instantly transform it into a real computer. I no longer am condemned to spend five thousand swipes just to select the correct bit of text, I simply us the mouse when I want to. Sometimes I uses it exclusively as a tablet with no physical keyboard. Sometimes I use it as a laptop with Bluetooth mouse. Often I use it as a mixture of both, effortlessly using the best bits of each paradigm. At long last I have found the device I have been looking for. I’ve had it less than a week and I absolutely love this thing. The actual public isn’t confused with a iPad, some tech people are. If this “assessment” was done on a WinRT tablet why are we talking about Windows 8? On Win8 when I launch a desktop app it opens, quite predictably, on the desktop, which is all but identical to the desktop I’ve known since Win XP. When I launch a Windows Store “Metro” app it opens in full screen and I switch between the two fluidly using the lower left corner, which wasn’t hard to find because that’s been the “start” position in Windows for many years. In WinRT access to the desktop is limited to things like Office and network components, making the tablet a productivity device, so I can see why it’s there, but I think it’s unfortunate that it can be accessed just while exploring the tablet. Applications which worked on Windows 7 Do NOT Work on Windows 8 Wow EPIC FAIL!! Tired of Microsoft bully tatics. Time to cut them off and go else where. EVERY app I was using on Windows 7 works as well or better on Windows 8. Why comment if you’re just a stupid troll. I suspect Rod probably read or heard that, but has no first hand experience himself. Donovan, your right. Unfortunately Rod isn’t the only troll making similar comments. 80% of the programs I’ve tried to move to Windows 8 had compatibility issues and all my apps are work related – not “play” related. That might be the biggest user experience difference with compatibility. I mean OMG – even Visual Studio 2005 has compatibility issues on Windows 8 – the very corner stone of Microsoft application development. Rod, see, this is exactly the kind of thing I rail against (and did in a later post): People spewing all kinds of negativity who have obviously not even tried Windows 8! I have put Windows 8 on 2 of my computers, one I use as a music production studio. I have upgraded both to Windows 8 and so far, on the music computer NOT A SINGLE ONE of the programs I have reloaded have not worked exactly as they did before, and they load and perform faster (well, most anyway). On the other computer, I had 78 programs installed. Windows 8 setup told me right away that 5 of them would probably not work at all, and another 7 would need to be upgraded. so far, that has held true (actually one it said would not run does, even though when launching it Windows says it won’t…but it does). Also, between BOTH computers, with all the hardware (musical and otherwise) I have, I only had to install ONE driver manually. I did both installs completely from scratch (not upgraded). I’m sorry to have to say this, but you’re either blatantly lying, or you simply don’t know what you’re talking about, both of which should have precluded you making the comments you made. Rod, Windows 7 applications works as well if not better on Windows 8. You clearly have not actually used Windows 8. Actually use Windows 8 for at least 2 weeks, than tell me Windows 8 Pro doesn’t run all of the Windows 7 applications. I have to mostly disagree with you here. I don’t want another tablet with a jumped up phone OS on it, I want a tablet that I can get work done on. Sometimes I want want to chill with a movie and metro mode is fine. Sometimes I want to do work so I use desktop mode with a keyboard and mouse. Phones need a simplified UI because they have limited size, limited power and limited interaction capabilities. Tablets don’t need to have these limitations. I had an iPad, gave it away. I have an android tablet that I haven’t used in 3 months since I got a win 8 tablet. The win tablet can do everything the iPad and Android tablet can do, but I can also use a real browser, a real word processor, and generally do all the things I can do on a real computer. Windows 8 RT is the iPad+ replacement. 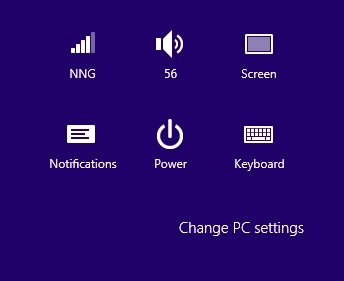 Windows 8 is for full power devices and there is no need to limit it. I’m sorry, but did you just call Internet Explorer a real browser? I almost believed everything you said, until you said that. I’m a web developer and I can tell you it isn’t. Clearly you are behind the times… IE10 is a beast. It’s fast, secure and supports a large (and growing)compliment of (un-prefixed!) CSS properties. I am a web developer as well, and I can tell you honestly that Microsoft is doing a lot of things right in IE10. You just said the first intelligent thing I have heard about Windows 8. When Apple and Microsoft report their sales figures for Christmas 2012, what the public actually brought will be known to all, my guess is that Apple will surpass Google and Microsoft by a wide margin. Odd but I use my IPhone 5, IPad 4 and Lenovo laptop with Windows 7 on it each and every day. It’s my new Lenovo ultra-ight with Windows 8 that I can’t seem to bond with. The machine is a delight but the OS makes it such a hassle, I see newest addition as being the one I don’t want to use. Oh, and I enjoy my Kindle. We’ve proven we use different tech for different needs. Now why did Windows 8 create a mess that’s trying to pretend all our devices are exactly the same? Both Sides have it wrong. What Microsoft needs to be truly unique is have two interfaces that are built on the new Modern interface principles: one for Desktop, one for for Tablet. Then when in Tablet mode it will switch to Tablet mode, when in desktop mode it will switch to desktop mode. They will be mostly the same with some changes that will make them work better with that input type. This is what ms should have done. To have two different interfaces, in a single device, but not at the same time. Tablet mode OR desktop mode. If there’s a learning curve, the design is poor, more or less. I think the point is that the past 17 years of Windows use should represent people’s learning “curve”. If that experience is now useless and the new behaviors aren’t obvious, then Microsoft’s user experience team has probably failed at their mission. I have to strongly disagree with that concept! Were that true of telephones, we’d still be using rotary phones with pulse dialing. Were it true of televisions, we’d still be rotating variable capacitors to tune a channel. Were it true of cameras, we’d still be paying through the nose waiting days to get film developed. Were it true of stoves we’d still be risking burning our faces off pouring kerosene and matches into holes on stove tops. Technological advancements necessarily require learning new ways of accomplishing things. Imagine if our military wanted to keep swinging swords instead of learning how to sight a rifle. There were people who had similar complaints when the mouse was introduced (“What’s so wrong with just typing in what I want the computer to do?”). Now that computing seems to be evolving to touch, why would it be expected that things not change and require a bit of learning? I genuinely don’t understand that. This is exactly the point. Everything else is pure rubbish and they’ll be eating their sensationalist words. Plain and simple – clear as day. User interface is rather simple: if the user thinks this is how it works, it should. No reason not to have multiple ways of doing a function. Exactly! Furthermore, if you are starting your learning curve from scratch, would Windows be your OS of choice today, with the other more mature platforms out there? That’s what MS really has to fight right now. I think they would have actually been better off to rename it from Windows to something else. The trouble is expectations are that Windows 8 is just an enhanced Windows 7, something that is proving to be half true for desktops and not at all true for WinRT. Also, they should really have made the desktop browser link just a shortcut to the Modern UI IE instead of a separate browser. I just know I am going to get support calls on this. The fact that you have to find a roughly 2×2 pixel spot where the old start button used to be in order to get back to Modern UI is also ridiculous. Others have said, correctly, that all you have to do is click the Windows key and you are gold, but once a user has the mouse in their hand, that is what they want to use. Making them move their hand off their mouse just for that is silly and indicative of poor design. And that’s just one tiny example. Pull out the charms bar with your mouse, then you have to track too straight in order to keep it out. I’ve already seen people get frustrated with the fact that they wandered off a bit too far with their mouse and the charms bar disappeared, making them start over. No one of these things is a big deal, but cumulatively this makes the whole experience not so nice. The problem with these forums is that not one of us here will have these problems as we are all tech savvy and excited to learn new things. We will let our iPads or Nexus devices gather dust while we enjoy the new technology. But, we are not the mainstream. All the users that type http://www.whatever.com in the search bar on Google’s homepage are the mainstream, not us. They won’t do well with Windows 8 desktop. I do think they will do okay – just okay – with WinRT and would do great with it if the desktop disappeared entirely. I honestly can’t believe that this punditry continues. It’s like the world has gone stupid. Seriously, very smart people are acting like computing was turned into advanced physics. It wasn’t obvious that I could swipe to delete back in 2007 when the iPhone came out, but I learned it once and never will have to again. I still couldn’t tell you what all of the three and four (and five!) finger swiping is in OS X. At least Windows 8 makes it obvious. Just go to the corners or pull from the sides. Thanks for the bright insight. All these “pundits” claiming that Window 8 is hard to use are pure old dogs that refuses to learn very simple tricks. Even kids can learn so fast using W8 without any complaints. These so called pundits blogging just to bash W8 , they really look so dumb and stupid because they can’t adapt to new technology. Icons are dead, live tiles is the new paradigm. 1, microsoft can activate a kill switch to remove an app and its data from your pc. 2, microsoft is taking things to the cloud, do you really want to store pictures and personal stuff on their systems. 3, where does privacy come in, give them your personal files, access to your data and apps, let them track you just like apple. What if I don’t want to learn new tricks? It simply amazes me that Microsoft would force such changes on the public without building in a way to get the ‘windows 7’ look. If you’re REALLY into i-phones and apps then this may be the perfect system for you. But it does not work for me. I hate the g@#$d#$n thing. Don’t you think I have enough to learn? And, is Windows something I lump in with learning? When one hands an iPad to a kid, they just get it. There lies the problem. I played with the surface, and found it schizophrenic. Microsoft made a strategic mistake. Windows 8 is neither Windows or mobile. We know the various OSes wil catch up to this fact, but most of the world is coming from iOS amd Android. it didn’t need to be obvious how to delete in the original iPhone OS, because, at least on Apple apps, there was an Edit button that gave you a GUI for deleting list items. In general, Apple has been far better at treating gestures as shortcuts rather than pure UI than Microsoft is. And even then, Apple has tried to give visual hints. Look at the camera shortcut that was added to the iOS lock screen: if you tap it, the screen bounces up revealing the camera shutter underneath; this is a visual clue that you need to slide up on the lock screen. Admittedly, as Apple’s touch-based apps have gotten more complicated, the gestures have become more opaque (c.f. iPhoto, iMovie), but even then Apple gives you a help mode that shows how to use things. I’m not sure how it’s obvious to “just go to the corners,” or at least any more obvious than some of the more complex OS X gestures — but on OS X, all of those gestures can be performed through the GUI: opening Mission Control, hiding the desktop, showing the Launchpad. None of them are required to use the OS unless you want to. That’s simply not the case in win8. I’m a professional developer who makes a living writing C# code, and I have no qualms about spending my days in win7. But the extended periods I’ve attempted to use win8 have been simply painful. And how is it obvious to swipe down from the top to get the notification center? Or use 4 fingers to go left or right to switch among apps? Or 4 (or does 5 work, too? I can’t remember) fingers to swipe up from the bottom to show the running apps. Or use 5 fingers in a squeezing motion to collapse an app? Or go into the settings of an app only to then see a message that the app must be configured through the iOS settings app, in the app section. All of those things are hidden, also. But for some bizarre reason that I honestly can’t understand, people give iOS a pass on that and only criticize 8/RT tablets on it. What’s really good about Windows 8 and RT gestures compared to the iPad is that after learning one small set of gestures (no more in number or complexity than on the iPad), they work everywhere. Why is that worse than iOS? In fact, why is that not better than iOS? Are we using the same Windows 8? Except the slow launch of tile apps, I have nothing to complain about. Sure we’re using the same Windows 8. Thousands of others will be or are as well. But we’re all different, so I don’t assume that what works for me, works for you and vice versa. I’m glad you have nothing to complain about – seriously! I think some will be very happy with Win 8. I also think that many will be not, and in fact, already aren’t. I am on the same boat here. Bought a Surface RT, and my iPad has been collecting dust ever since. If it had a pen-enabled screen and inking apps then it would be perfect, but even this version is pretty good right now. I have no real major issues with Windows 8 or the Surface. seems pretty intuitive to me (a retired IT guy), I bought a Surface, then upgraded my desktop PC to Win 8, then also bought a Win PH 8. I keep expecting to have issues given some of these reviews, but just keep using my devices.